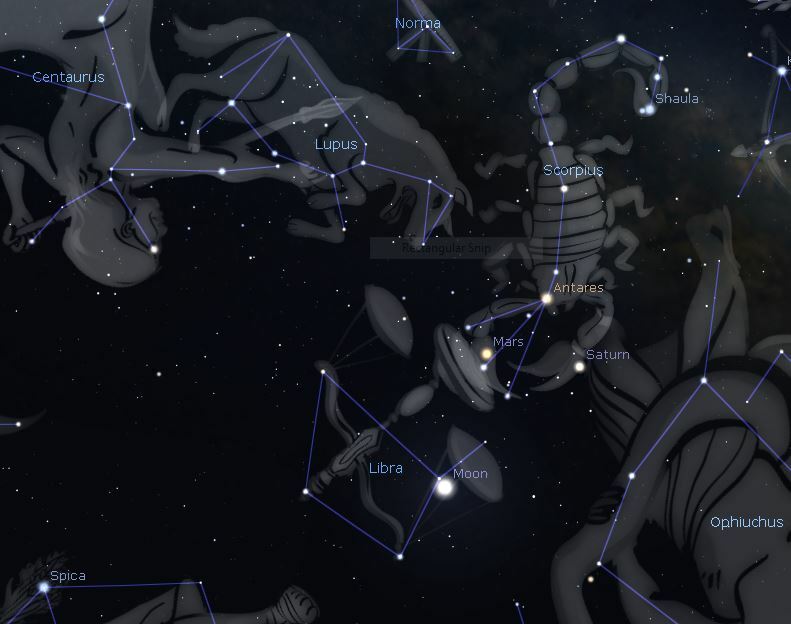 Here is a snapshot of the sky from the astronomical program Stellarium. The time is tonight around 6.30 pm, looking up. It shows the yet to form conjunction of the Waxing First Quarter Moon to Mars and Saturn, edging closer to each other. You can observe the Libra and Scorpion constellations behind them. 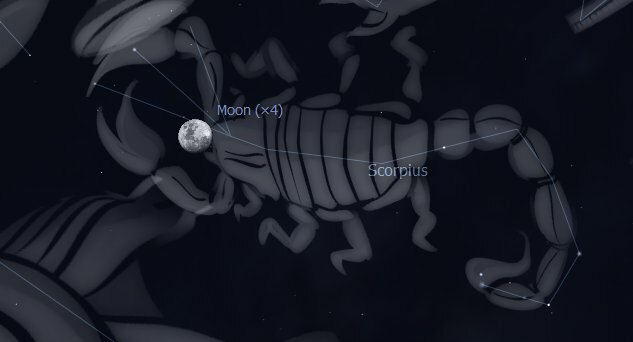 In the Tropical Zodiac however the Moon is actually transiting through the end of Scorpio, while Mars and Saturn are transiting in early Sagittarius (they will becoming conjunct in Longitude on August 24). 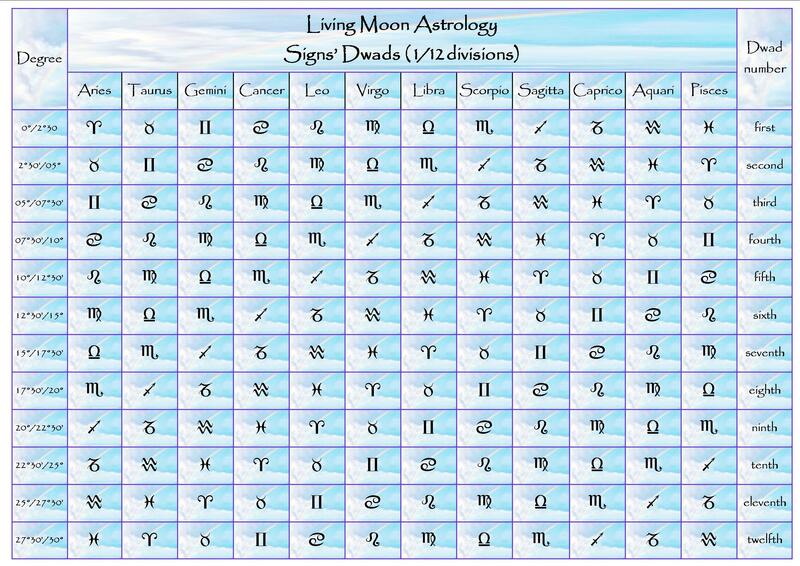 To better understand the difference between Sidereal (Constellations) and Tropical or Seasonal Zodiacs please navigate to this tutorial of mine. 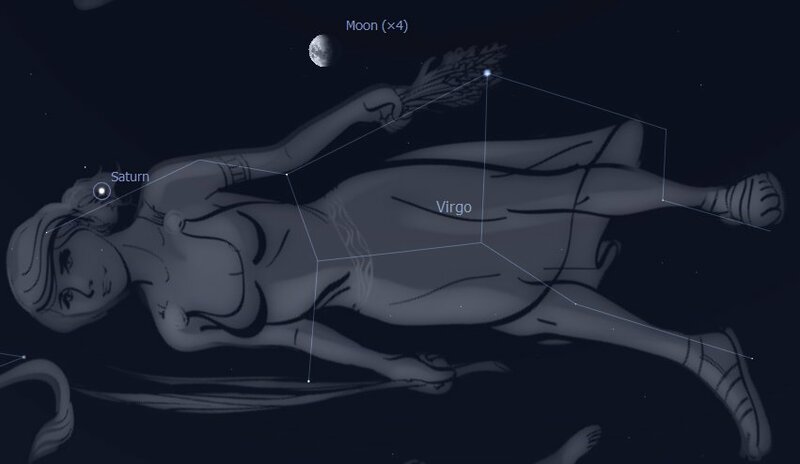 Note also bright Spica, alpha star of Virgo, the ear of corn in the Maiden’s hand, lower, toward the western horizon. This star could be easily confused with Jupiter or even Venus which are also visible in the early evening, the latter still setting only shortly after the Sun. More about the visible night Planets in the next few days…. 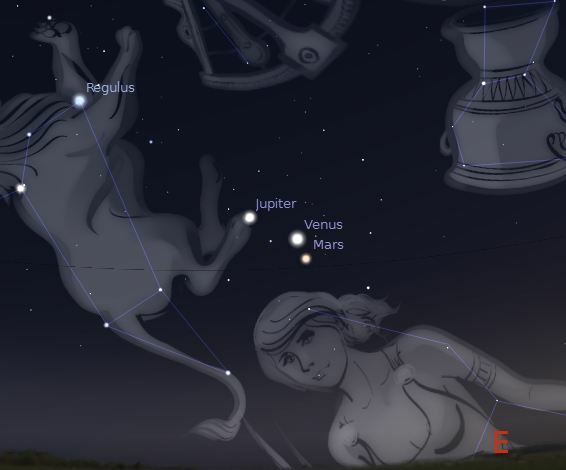 VENUS, MARS and JUPITER are still the stars of the pre-dawn sky, remaining aligned throughout the month of October. Venus is of course still the brightest, rising one hour before the Sun early in the month and two hours at the end. Our sister planet will reach Maximum Elongation (furthest distance from the Sun disk, from earth viewpoint) on October 26. Venus will be at her closest to giant Jupiter also on October 26 and to Mars on October 31. A remarkable event in October will be the Occultation of Venus by the Waning Moon, on October 9. The Moon will glide between the Earth and Venus, hiding our Sister Planet from view from about 4,30 to 6 am, in Eastern Australia. Venus will disappear behind the Moon for nearly one and half hours, a spectacle not to be missed, a sort of Venus Eclipse! Below is a Stellarium’s snapshot of the Eastern sky on October 9, around 5.25 am, Occultation time. 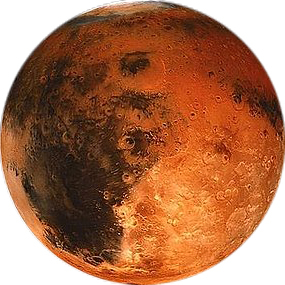 MARS will rise earlier and earlier in the course of October. * MERCURY: if you didn’t spot little Mercury in September, while it was at its brightest setting after the Sun in the West, you have missed out for the time being. Mercury is in fact now a Morning Star, after reaching its Inferior Conjunction to the Sun on October 1. This Planet will be very hard to spot in October immersed as it is in the Sun rays before dawn. Mercury will return to the Western sky, setting after the Sun, only on November 18, day of its Superior Conjunction to the Sun. This is the best rendezvous of Venus and Jupiter in years. You’ll need clear westerly views. Due to their magnitude the two brightest Planets are already visible when the light of the Sun still lingers. They have been moving toward each others for a while now. The conjunction will be exact on March 15, but the two will remain visually close for the whole month of March. It would be worth your while to look them up every evening for the next week or so. It should be easy to recognize Venus because she is the brightest amongst the two (approx. magnitude -4.18 versus magnitude -1.96). 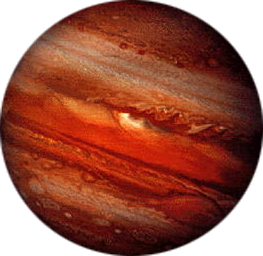 Astrologically this is considered a fortunate conjunction, Venus and Jupiter being known as the two most fortunate planets, one fostering cooperation, love and artistic creativity (Venus), the other optimism, expansion and improvement at all levels (Jupiter). This is a positive aspect for relationships, travel, business, artistic expression, fun, financial gain and all sorts of opportunities. In direct line with this transit are Pisces born between the 12 and 16 of March, Taurus born between April 28 and May 2, and all those born with the Sun, Moon, any Planet, Lunar Node, or Angle between the 8th and 12th degrees of Taurus, Pisces, Virgo, Capricorn and Cancer. 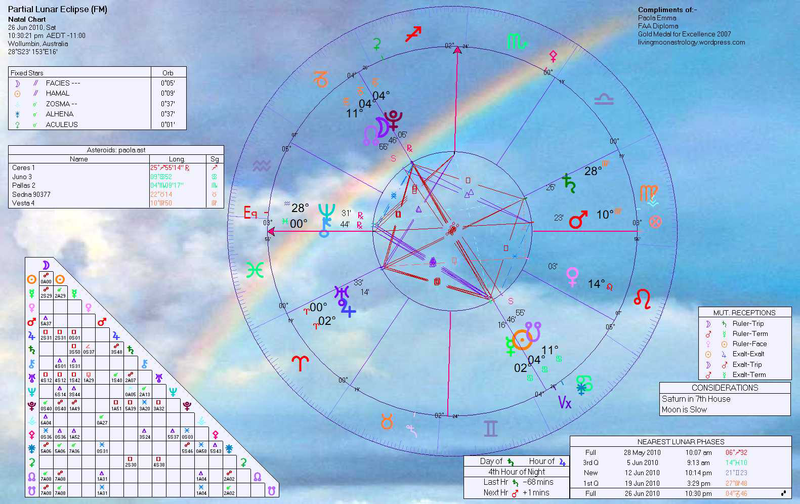 Scorpio, Leo and Aquarius are also aligned to this transit , but, being connected with it via opposition and squares respectively, they could experience some difficulties in enjoying its full benefits. I have to apologize for an error in an earlier version of this post (now corrected), if you happen to have read it before this editing, where I stated that Jupiter was Retrograded at this time. He is not, while Mars and Mercury are. A Retro Mercury’s trick? 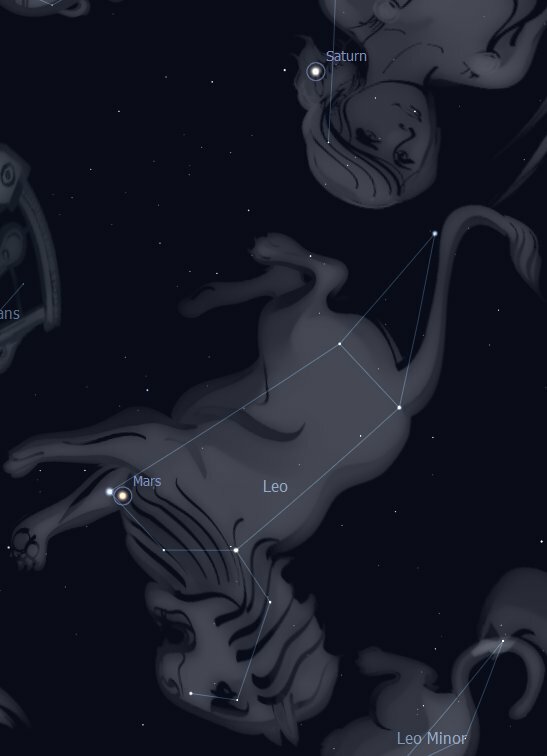 For more on this transit and others active in March 2012 please check my recent Venus in Taurus post, HERE. 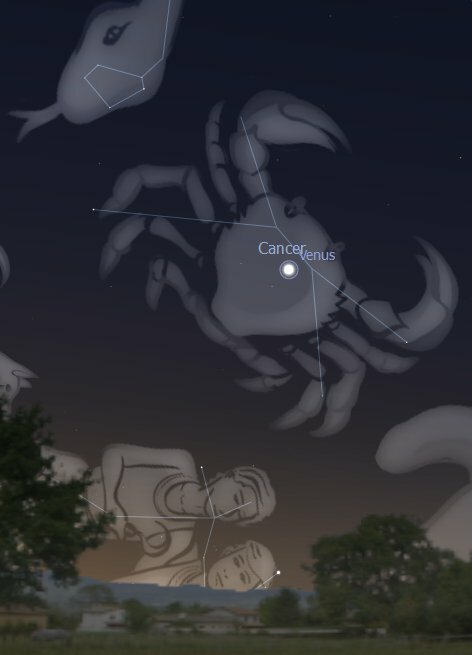 Below is a sky-scape of this event, taken on March 15, around 7.40 pm, looking North-West, low on the horizon (in mid-latitude in the Southern Hemisphere). Note Aldebaran, alpha star of Taurus, and the Pleiades, Seven Sisters, above, and beautiful Capella, alpha star of Auriga, the Charioteer, parallel and north of the conjunction, and finally Hamal, alpha of Aries, the Ram, below the conjunction. Looking up you will also see the great sky Hunter, Orion, and west of it the two main stars of Gemini, Castor and Pollux. 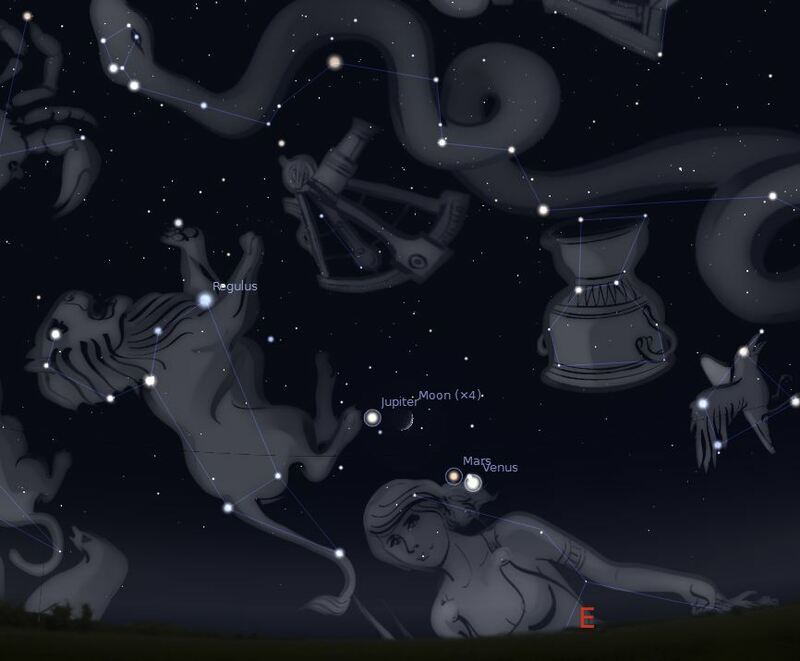 March is in fact a great month for naked eye observation of the planets, with Mars at his brightest after his opposition to the Sun, on March 5, and Saturn visible east of Mars, still close to Spica, the brightest star of Virgo. Jupiter, in the East, and Venus, in the West, are King and Queen of the night. * MERCURY, in retro motion in Tropical Sagittarius since November 23, is changing from Evening to Morning Star, moving from the Western sky after sunset to the Eastern sky before dawn, after forming an Inferior Conjunction with the Sun on December 4. 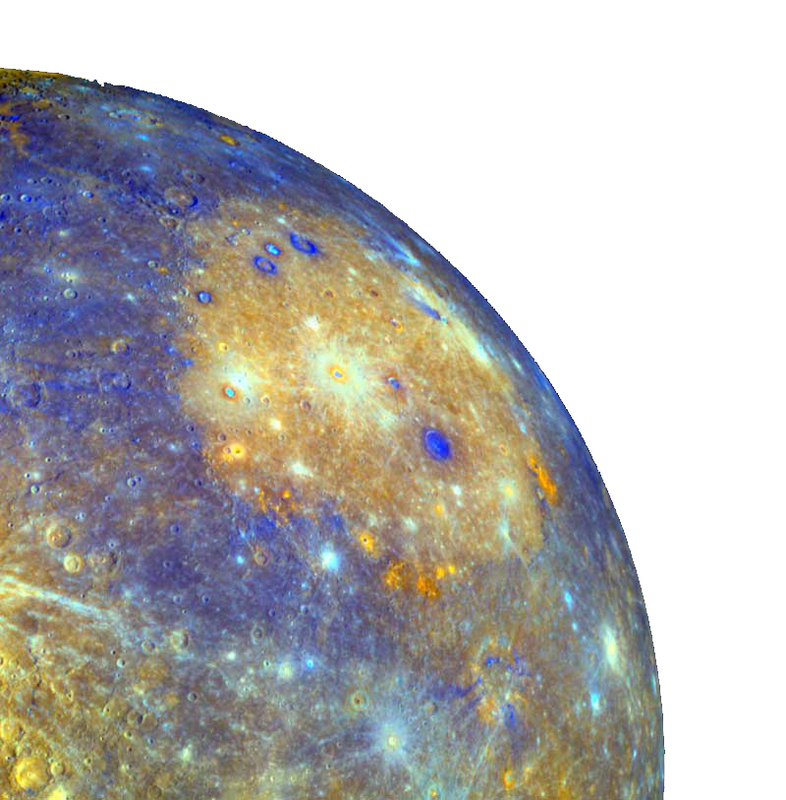 Mercury will remain invisible until the end of December, re-emerging in the South-East after December 20. On December 22/23 it could be easier to spot him (-0.4 magnitude) because of his vicinity to the tiny Balsamic Moon (two days before New Moon) and also his alignment to the star Antares (alpha of Scorpio constellation). VENUS: Venus is becoming brighter every day, also more available for observation because she will remain longer in the western sky after sunset. Her magnitude will be around -3.9 throughout the month. Venus and the tiny Crescent Moon (two days past New Moon) will appear very close in the evening of December 27. 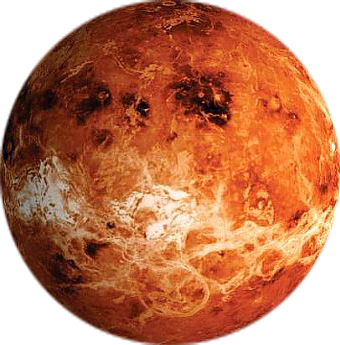 Venus will reach her maximum brightness at the end of April 2012 (-4.5 magnitude), her maximum elongation or longitudinal distance from the Sun expected at the end of March. Click HERE to view a cool graphic of the pentagram or five pointed stars formed during the eight years Venus/Sun’s basic cycle. * MARS: it will be easier to spot Mars this month, rising in the East a bit earlier every day. The Red Planet is also becoming brighter, from +0.7 to +0.2 magnitude. mars will be already well above the Eastern horizon by month’s end. He will remain relatively close to the two major stars of Leo constellation, Denebola and Regulus. On December 18 the last Quarter Moon will transit in the vicinity of Mars, in the East, from one am until sunrise. providing a bright clue to spot Mars. JUPITER: as it gets dark in the evening Jupiter can be observed already high above the Eastern horizon this month. He is very bright, at around -2.7 magnitude. 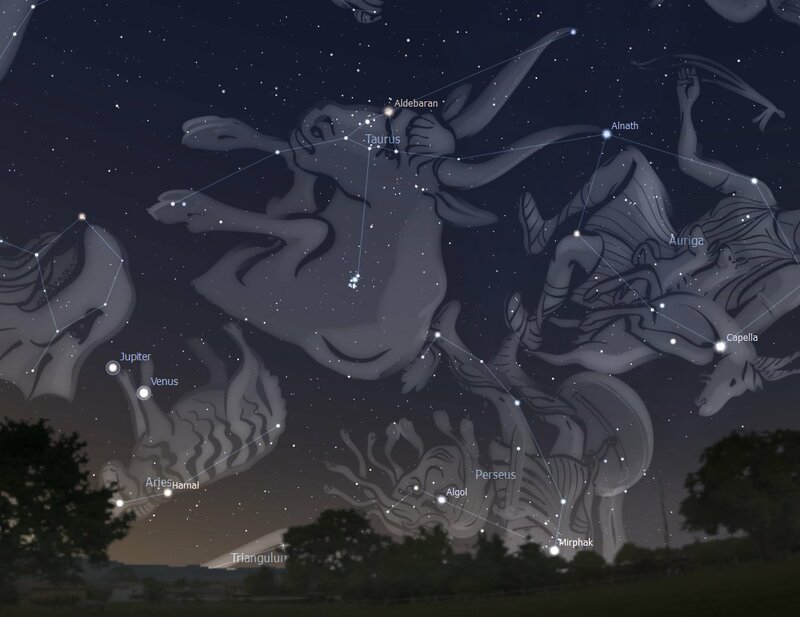 The Giant Planet is rapidly moving North-West, setting earlier as December advances, between two and three am at the start of December and just after midnight by the end of the month. Jupiter is transiting against the backdrop of Cetus (the Whale constellation). He will be caught up in the Sun’s glare in mid-May 2012. On December 6 and 7 the Waxing Gibbous Moon will be visually close to Jupiter for good part of the night. In December Saturn makes his return to visibility, appearing higher above the Eastern horizon before sunrise, rising in our mid-southern latitudes about 3 am. In early April 2012 Saturn will reach his maximum elongation (distance) from the Sun and so also its greatest brilliance (+0.2 magnitude). 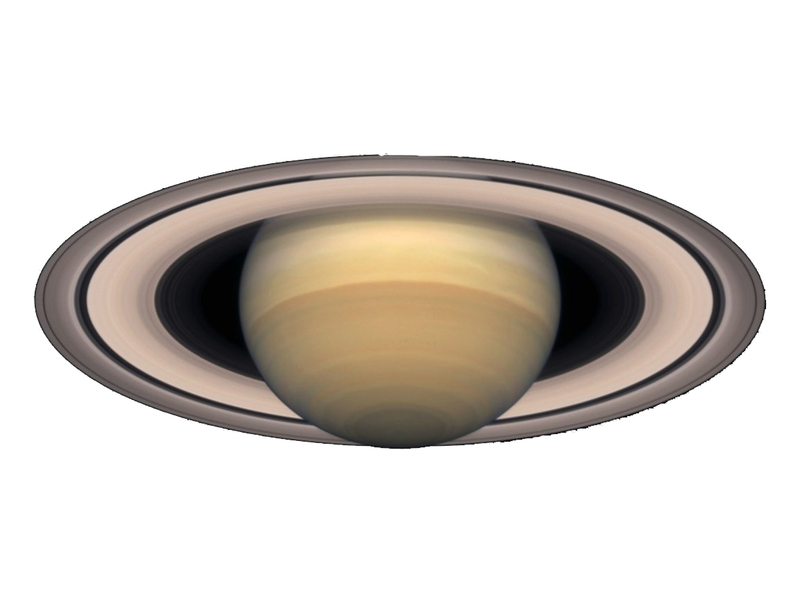 In the month of December Saturn will shine at +0.8 magnitude only. Saturn will still be transiting near the the alpha star of Virgo, Spica, the ear of corn in the maiden’s hand. 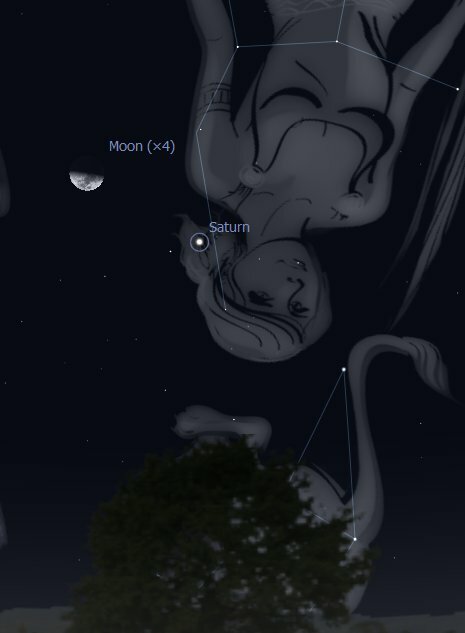 On December 21 the Waning Moon will be aligned to both Saturn and Spica, in the East before sunrise. A Total Lunar Eclipse in the Tropical Sign of Gemini is on the cards for the Full Moon of December 10/11 (depending where you are in the world). This Eclipse will be visible in its totality in most regions of Russia, the whole of Asia, including South East Asia, in China, Japan, the two Koreas, Indonesia, Papua New Guinea and Australia. It will not be visible from South America or Antarctica, and only partially from Europe, Africa, Mexico, North America and parts of Canada. The Nasa site discussing this Total Moon Eclipse can be found HERE. Meteors Showers are expected this month too, the Geminid and the Ursid. The Southern Hemisphere will be ideal to watch the first one, while the second will be visible only for people North of the Equator. The Geminid will reach its peak on December 13,14 and 15, but some of its meteors could be glimpsed between December 6 and 19. 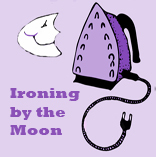 Unfortunately the big Waning Moon (Disseminating Phase, after the Full Moon on December 10) may conceal many of its shooting stars (up to 80/120 per hour! One of the best meteors showers of the year). The spectacle will be worth the effort of rising early though, especially if you live away from city lights. The constellation of Gemini, from which this shower radiates, rises before midnight in mid-latitudes in the Southern Hemisphere, so there would be many hours of opportunity for observation. The shooting stars will appear to generate in the vicinity of Castor (with Pollux, one of the Twin stars of the constellation Gemini), situated just below the Moon for southern observers. These meteors actually originate from the Asteroid Phaeton, an unusual occurrence because most showers come instead from comets. The Ursid meteors shower (visible only to Northern observers), will have the advantage of a darker sky, its peak occurring two days before New Moon, on December 22 and 23. The shower itself goes on from December 17 to 25. The Small Bear or Little Dipper constellation, the place from where this shower radiates, is a circumpolar constellation, meaning that it does not rise above the horizon sufficiently in southern latitudes. This shower has less meteors than the previous one, 20-15 per hour, occasionally more. 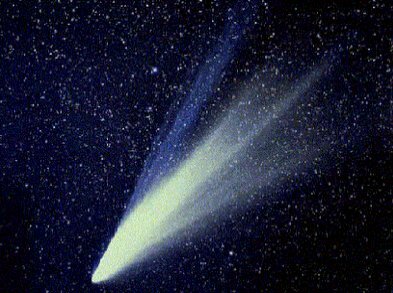 It originates from a comet called 8P/Tuttle. For a historical take on Sun Spots and Flares please navigate to some interesting article on space.com HERE. 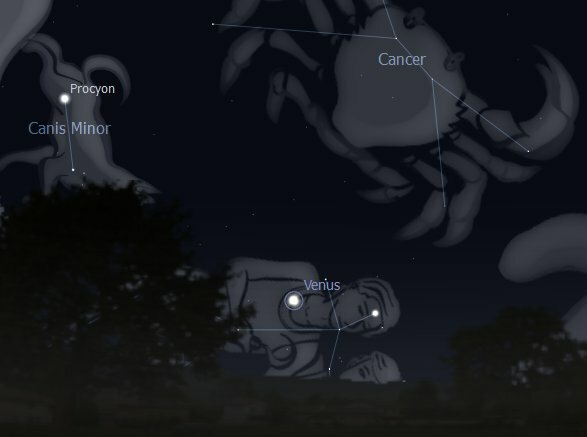 November is a great month for observing the evening and night skies. I haven’t been able to update the Stars over Wollumbin page and the skyscapes of observable events (right sidebar’s link) since September. I am still keen on these regular features. I’ll try my best to continue updating them. Writing these posts help me, and hopefully my readers too, to stay in touch with the ‘real’ celestial bodies, getting a sense of their visible, tangible magic. * MERCURY: transiting Tropical Sagittarius this month Mercury can be observed, with Venus, against the backdrop of Scorpio constellation. For the first two weeks of November it will be easy to spot Mercury because of his vicinity to Venus, especially for people in the Southern Hemisphere. Mercury will reach a magnitude of – 0.3 compared with much brilliant Venus, -3.9, and appear southward and nearly parallel to Venus in our southern regions. A few minutes ago I had them both framed by my caravan’s window! Now Evening Star, after becoming Stationary Retrograde on November 23, Mercury will conjunct the Sun on December 4 (Inferior Conjunction). Our Little Brother will afterwards re-emerge in the dawn twilight, very close to the eastern horizon, in early December. The Crescent Moon will be appear close to Mercury in the evening sky on November 26. VENUS: Venus is again queen of the evening sky, but Jupiter, in the opposite hemisphere, surpasses her in brilliance in November. She is gradually separating from the Sun this month, climbing the sky higher every evening, from West to East, reflecting more sunlight back to Earth and thus becoming brighter. Mercury is doing just the opposite, nearing the Sun and edging toward the western horizon. Venus will be at her maximum brightness in April 2012, having reached maximum elongation or longitudinal distance from the Sun, at the end of March. The Crescent Moon will be close to Venus in the evening sky on November 27. * MARS: in November Mars will be visible only for a few hours, rising about 2 am in Southern Hemisphere mid-latitudes, and remaining pretty close to the horizon. The dark hour just before dawn will be the best time to spot Mars because then he will be higher in the sky. Another chance to recognize the Red Planet will be on November 10 when it will be conjunct the alpha star of Leo, Regulus, the Little King; and also on November 17/18, night of the Leonid Meteorite Shower, when the Last Quarter Moon may hinder the shooting stars’ view while making Mars more obvious. 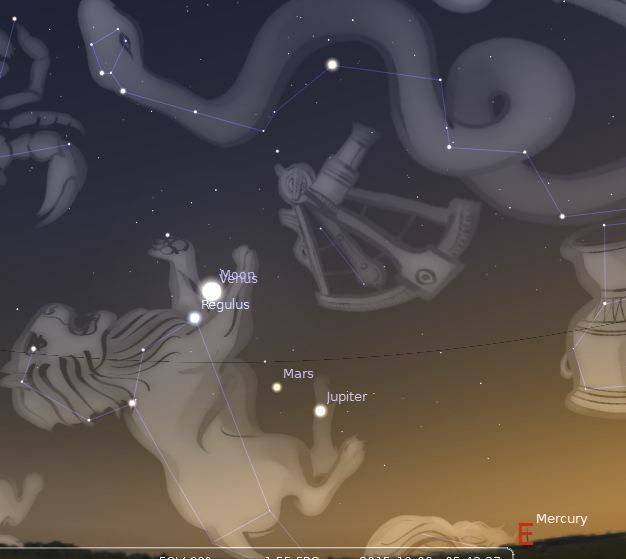 JUPITER: the brightest planet this month, after the Sun opposed him on October 28, Jupiter is now already high in the North-Eastern sky by sunset. The Giant Planet will set earlier every night as we near December, descending toward the West. Jupiter is transiting between the constellation of Aries (the Ram), Pisces (the Fish) and Cetus (the Whale). The Moon will be visually close to Jupiter on November 8/9. November 2011 is not be the best month to spot SATURN, as the Ringed Planet will remain very close to the Eastern horizon, mainly lost in the pre dawn twilight until the middle of the month, particularly in Southern Hemisphere latitudes. Saturn is however slowly climbing the sky, not completely invisible as it was the case in October. By the end of the month it will become easier to observe Saturn, a not so bright Morning Star in the East. Throughout the month Saturn will transit in the vicinity of the alpha star of Virgo, Spica, the ear of corn in the maiden’s hand. To make sure to find both the planet and the star, wait until November 22 when the Waning Crescent Moon will be close to them just before sunrise. Two Meteors Showers are expected this month, the Taurid and the Leonids. The first reached its peak in early November, but some shooting stars could still be observed until the middle of November, coming from the Pleiades and Hyades clusters, near the constellation of Taurus. There aren’t that many shooting stars in this shower but they are sometimes quite bright. The Leonid Shower can be active between November 13 and 20 instead, reaching its peak on November 17/18. This shower displays 25 to 40 meteors per hour, usually not very bright, but prone to occasional outbursts (meteors’ storms). Best time for viewing the Leonids will be after 3 am. 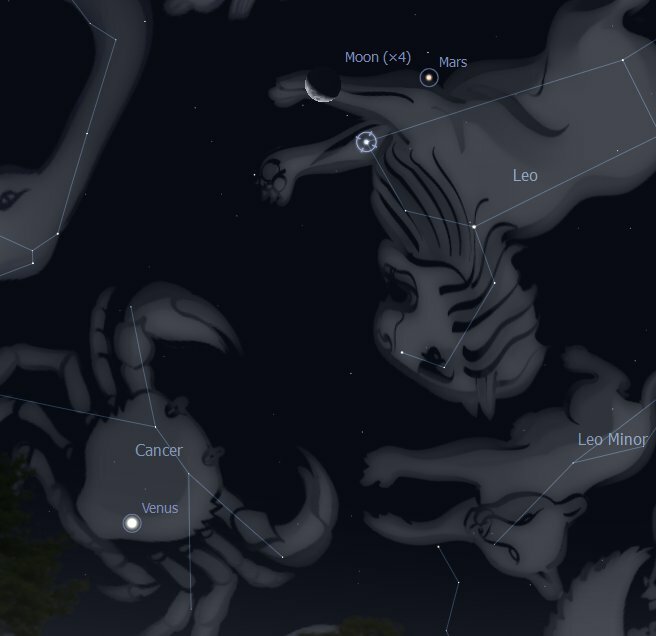 The Last Quarter Moon, on November 17/18 may actually hinder this shower’s view, the Moon transiting in between the front paws of the celestial lion on the night of the 18th, just above Mars and Regulus. A massive Sunspot (called AR1339) was detected by NASA’s Solar Dynamics Observatory (SDO) on November 3. 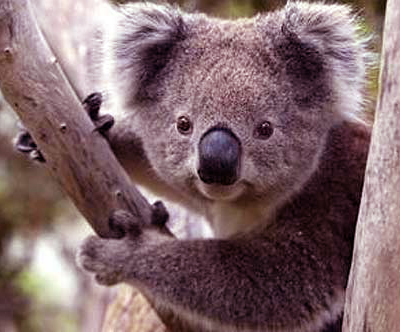 It is apparently 80,000km x 40,000km, many times bigger than planet Earth. The Sunspot is expected to face the Earth during the second week in November, possibly causing intense solar flares that in turn could affect our electrical power grids and the working of our satellites. A big Solar Flare was already detected on November 6. Enough for a week? I think so! For more information about this Sunspot please navigate to this SpaceWeather’s article HERE. And fro a historical take on Sun Spots and Flares please navigate to some interesting article on space.com HERE. 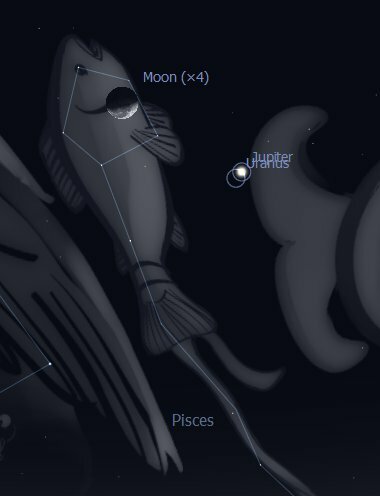 A Partial Solar Eclipse in the Tropical Sign of Sagittarius is on the cards for the New Moon of November 25. This Eclipse will be visible only partially from some places in New Zealand, Tasmania and South Africa and nearly in its entirety across Western Antarctica. The series to which this Eclipse belongs started near the North Pole in 1074 and will end in 2084 at the South Pole. For more information about this Eclipse please navigate to this Wikipedia article HERE. 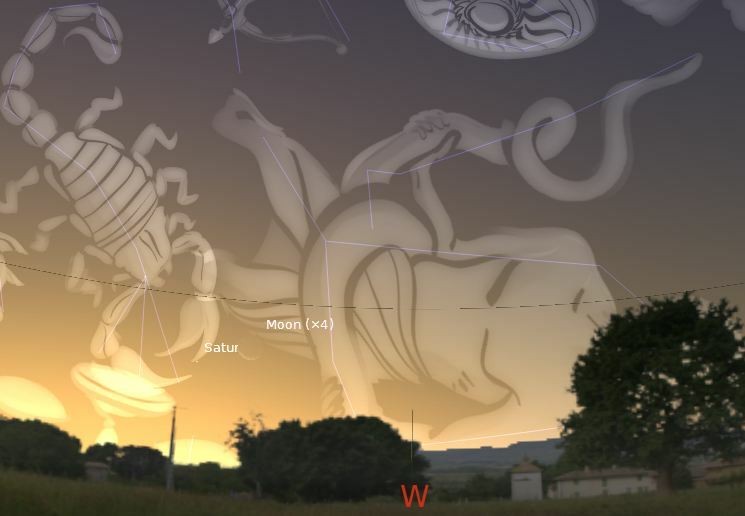 * MERCURY formed his Inferior Conjunction with the Sun, moving between the Earth and the Sun, on August 16, and re-emerged in the pre-dawn sky at the end of August. 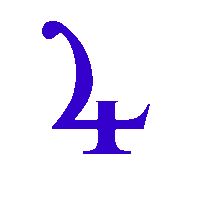 Our Little brother will become visible for a short time in early September. It will be possible to observe Mercury around September 9, looking East, just before sunrise, when it will be very close to Regulus, alpha star of the Leo constellation, but only in a place with a very low and clear horizon. After the middle of September Mercury will disappear in the Sun’s glow once more, to make his last appearance of 2011 as a Evening Star, from the end of October to late November. From early December Mercury will be again a Morning Star. VENUS: September will not be a good month to observe Venus. After her Superior Conjunction to the Sun in mid-August (as Mercury was forming his Inferior Conjunction) Venus has become again the Evening Star, but she is still too close to the western horizon this month to allow for easy observation. Venus will show off in her full glory only from mid-October, cruising longer and longer the evening sky after sunset, becoming brighter until April 2012 (maximum elongation, or longitudinal distance from the Sun, happening at the end of March). MARS: only very early risers will be able to observe Mars in September, just above the Eastern horizon, against the backdrop of the Twins constellation. Mars will rise around 3 am at the start of the month, and a bit earlier at the end, moving from the middle of Gemini to the middle of Cancer. 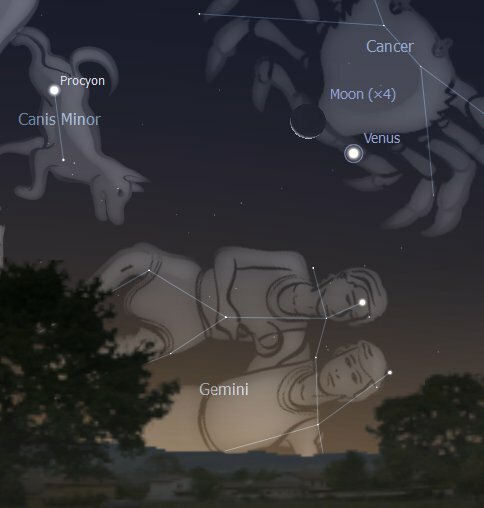 The Red Planet will be more easily identified around Equinox time, September 22 and 23, when the Waning Moon will pass close by him and the stars Pollux and Castor (Gemini), and Procyon (Canis Minor). Mars will continue to rise before the Sun until 2012. JUPITER: Jupiter rises after 10 pm, at the start of Septemeber, and about 9 pm at the end of the month. He then navigates the night sky ’til morning. The best time to observe Jupiter will be the hours before dawn. 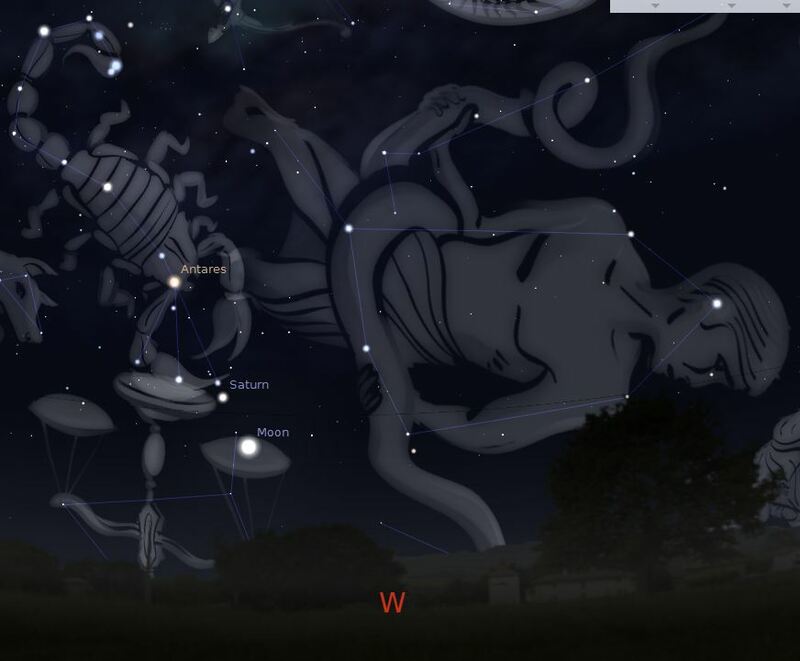 The giant planet can be found against the backdrop of Aries, the constellation of the Ram. 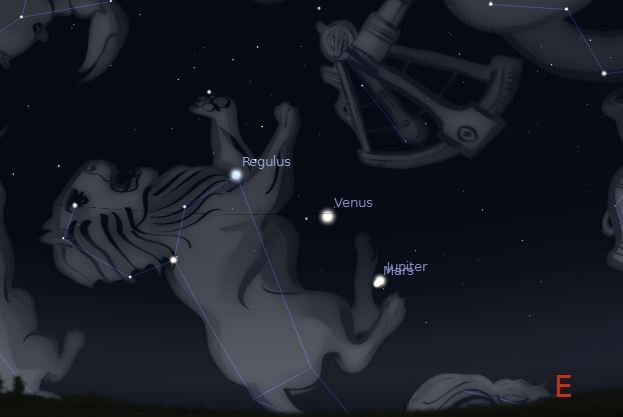 On September 15 and 16 Jupiter is easily spotted close to the still big Waning Moon and the star Hamal, alpha of Aries. SATURN, the planet that has dominated the night sky since March, is now edging closer to the western horizon, ready to completely disappear from view in October. If you happen to have a very low and uncluttered horizon, you could still spot Saturn at the start of September, an hour or so after sunset, with the backdrop of Virgo constellation, below bright Spica, the ear of corn in the maiden’s hand. 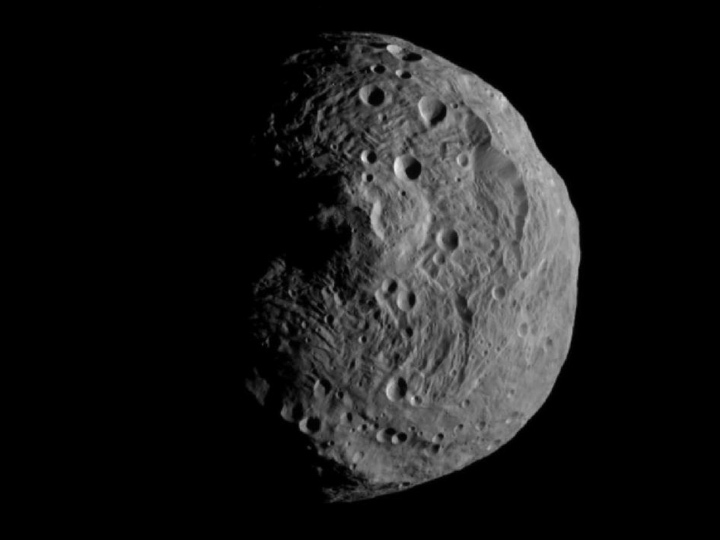 VESTA: the asteroid Vesta, orbiting between Mars and Jupiter, has had her yearly opposition to the Sun on August 5, the best time for observation, the Sun illumining her globe more fully. It is still possible however to spot Vesta even with the naked eye, better with a pair of binoculars though (magnitude 6). Her relatively fast track in the sky can be followed in September through the constellations of Capricorn. She will be already high in the sky after sunset. The Waxing Moon will pass close to Vesta on September 8/9. Look for them overhead and then going westward, between 7 pm and 3 am. ELENIN: in regard to the much talked about Elenin, comet or pseudo red dwarf, harbinger of doomsday or higher consciousness, I refer the reader to a comment I posted in answer to a query on the subject: My view on ELENIN. As far as observing Elenin with the naked eye, the 22 and 23 of September have been indicated as the best times. But the comet will be around the constellation of Virgo, very close to the setting Sun and for most lost in the glare.